An aerial view of Ard Na Sidhe, which translates as 'Hill of the Fairies'. The Arts & Crafts-style country house hotel is located just outside Killorglin, Co. Kerry. Ard na Sidhe, Superior Room. Ard na Sidhe, which overlooks Caragh Lake outside Killorglin, Co. Kerry. The Country House Hotel has been voted one of the world's best affordable hotels by Conde Nast Traveler. Ard na Sidhe Country House, tucked away in the wilds of Kerry, has made Conde Nast Traveler's list of the best hotels for under £150 a night. "There's definitely a hint of magic at work at Ard na Sidhe," the travel bible says. "Its name translating from the Gaelic as 'hill of the fairies', this whimsical Arts and Crafts mansion was built in 1913 in the wilds of County Kerry as an escape for Anglo-Irish Lady Edith Gordon." It goes on to single out Ard na Sidhe's mullioned windows, oak-panelled entrance hall and antique-dotted rooms as highlights of a recent refurbishment, advising guests to request one of 10 bedrooms in the main house. 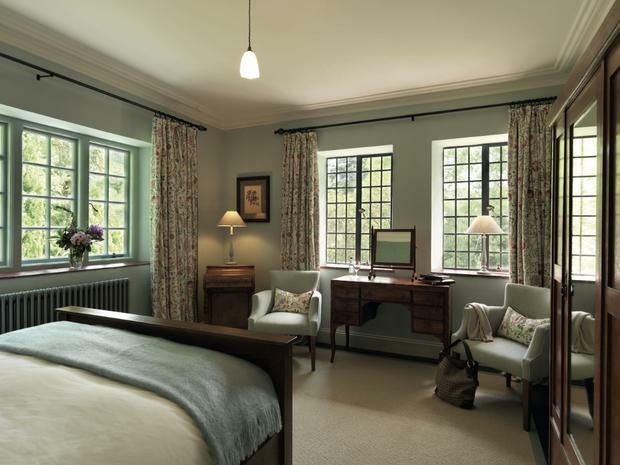 "Each is wonderfully different, from the William Morris furnishings of Room 1 to the tranquil greens and pretty views of Room 4. Everything here is welcoming and restful rather than intimidating and grand." The nod cames as National Geographic Traveler features Kerry as the cover story in its February/March edition, making a double-whammy for the Kingdom. “It is wonderful to be recognised by Condé Nast Traveller as the top hotel in Ireland and the UK to visit on a budget, alongside some incredible hotels worldwide," said Michael Brennan, the hotel's GM. Ard na Sidhe is owned by the Swiss Liebherr family and operated by its Killarney Hotels group. 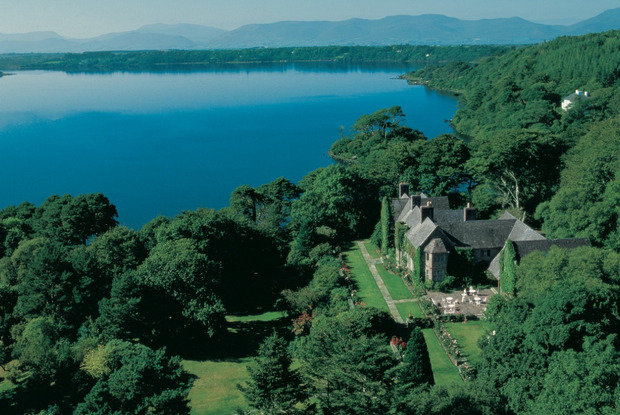 It is a sister property to Kerry's five-star Europe and Dunloe Castle hotels. It ranks alongside properties like the Hotel le Sénéchal on France's Ile de Ré, Brooklyn's Urban Cowboy B&B, Toronto's Drake Hotel and Kokohuia Lodge in New Zealand on the list. "Ard na Sidhe's setting also bewitches," Condé Nast adds. Its gardens, sweeping down towards Caragh Lake, are described as "almost tropical in abundance", with guests advised to "get a gillie and land a salmon for supper". The hotel re-opens for the 2015 season on May 1. A one-night stay with dinner is listed from €140pp, based on two people sharing.